In the classic design battle of Form vs Function, Unpressable Buttons usually sides with "Function": style and fashion too often do more harm than good to usability. However, Core77 (who usually sides with "Form") points out that sometimes a focus on function results in seriously ugly designs. 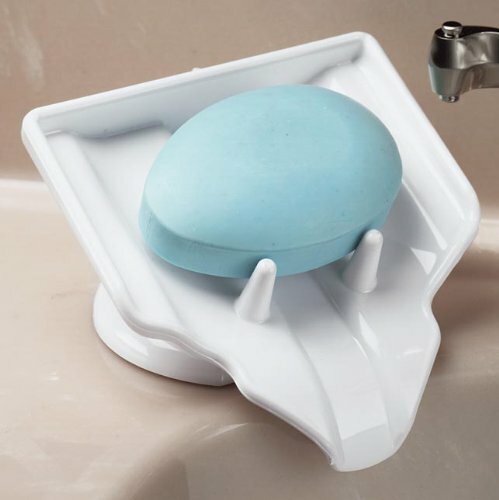 They use the perfectly repulsive example of the Miles Kimball Soap Dish, which performs admirably while creating a fanged-and-tongued eyesore by your sink. I don't have an easy solution to this problem, except to say that design is indeed a balancing act - and some functional strategies tip the scale too far away from aesthetic viability (or vice versa). The trick is to recognize when the balance is off, concede a bit to the other side, and negotiate. In the meantime, I'll settle for a soap dish that's a little less functional and better looking! Wireless sensing for better baby monitors? As a new parent (I hear veteran parents are less paranoid), I'm constantly checking the baby monitor when my daughter's asleep. And while a video monitor is a wonderful thing, it can't tell me that she's breathing well - so I find myself sneaking in on ninja-quiet feet to check. That's why I'd love a product with MIT's latest wireless detection tech, which can sense motion with enough detail to discern breathing and heartrates through walls. A little over-the-top? Sure - but hey, that's parenting. You know to avoid 3-card monte other shady street games, but what if NYC is playing a different game to win your money? Ben Wellington recently discovered that the purchasing system for the subway seems to be rigged. He gets into the nitty-gritty numbers, but suffice it to say that it's very tricky buy a card for a whole number of rides without having a leftover balance. 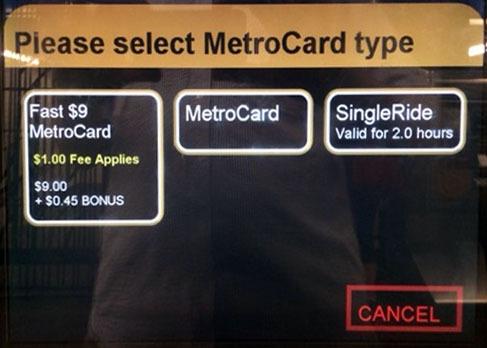 That means that visitors leave NYC with unused balances on their MetroCards - which amounts to free money for the MTA. It's a nefariously brilliant design, and one that was either fully intentional or a coincidence that some MTA accountant should claim credit for! You can fight back, and Wellington tells you which magic odd amounts will result in whole numbers of rides. But wow - it's not paranoia when they really are out to get you!